This week I have been working on English Garden Sampler by Teresa Wentzler. I am really happy with how much I was able to stitch. 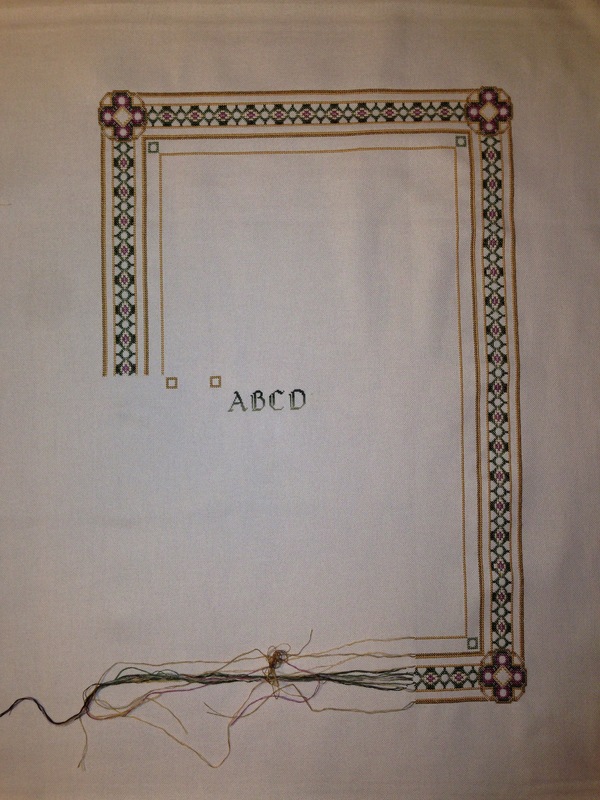 I stitched the border on the right side, the lower right corner medallion, and started working across the bottom. I think that I should be able to finish the border next time I work on this. I love the letter font!